The movie business is a business. At the end of the day, what matters is not the critical response, but the box office receipts. By that metric Batman v Superman: Dawn of Justice just had one of the biggest opening weekends of all time, outperforming its own high expectations. This morning, Warner Brothers is giving themselves a pat on the back, while also taking a shot at those critics who didn’t like the movie. The reviews started hitting on Tuesday before the film’s release and while not every review was quite as scathing (ours was solidly positive), most reviewers took the film to task pretty hard. Nobody really expected the reviews to make a significant dent in the opening weekend, and to be sure, they did not. 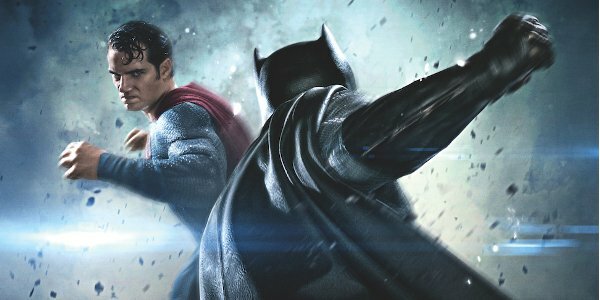 Batman v Superman:Dawn of Justice which was expected to do $160 million in the US, did $171 million. This morning in The Hollywood Reporter Jeff Goldstein, domestic distribution chief for Warner Brothers, spoke about how critics and audiences often respond to films differently. There is no question this is an extraordinary achievement. Clearly, audiences have embraced it, and we are already seeing repeat business. It's just fun. Often, there's a disconnect between critics and audiences. It doesn’t take itself seriously. It’s just an enjoyable afternoon at the movies. It’s hardly the first time that box office totals and critical response don’t match up. There’s a reason they keep making Transformers movies, and it’s not because they win Oscars. Still, the real disconnect here appears to be in the way the film is being characterized. While Jeff Goldstein implies that the reason many critics gave it a rough time is because they took it too seriously, many of the reviews actually take the film to task for taking itself too seriously. Still, ultimately there’s no denying that Batman v Superman: Dawn of Justice had an amazing opening weekend. Whether or not fans ending up liking the movie, they had to see the first appearance of the two biggest names in comics on screen together. They can now voice their own opinions and we’ll see whether Dawn of Justice has the strength of word of mouth to continue to be successful. There really isn’t anything scheduled for release in the next couple of weeks that’s likely to draw as large an audience, so the box office belongs to DC, if they can hold it. Were you part of the record-breaking opening weekend of Batman v Superman: Dawn of Justice or were you waiting to get the fan response from the film? Are you planning to go see it again?